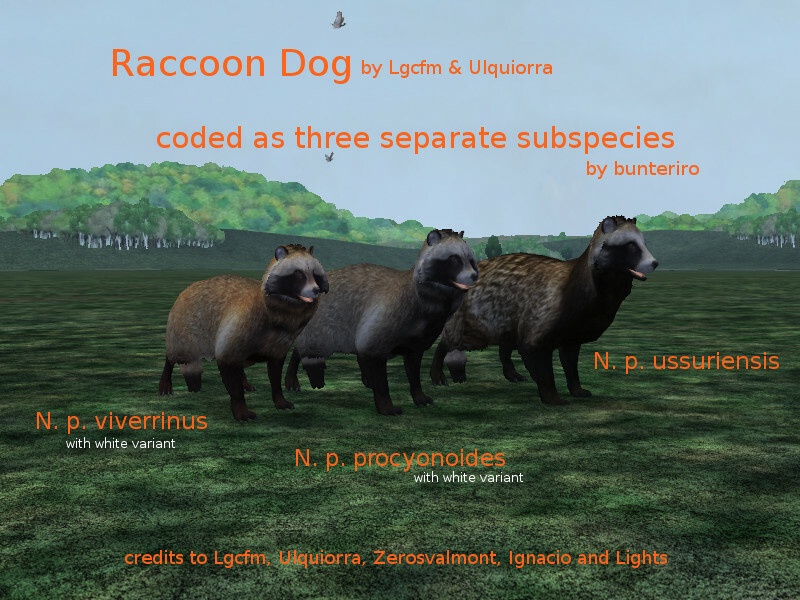 Description: The 3 subspecies of the raccoon dog for your zoo. They are the Japanese, Chinese, and Ussuri raccoon dog. The first 2 comes with a white variant.